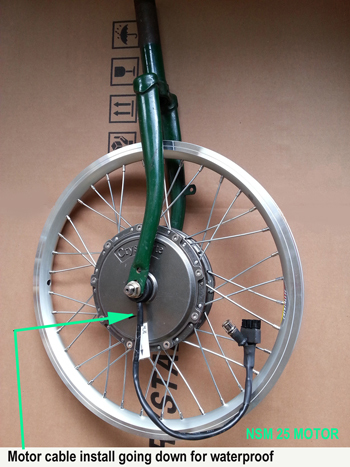 The NSM-Series motor specialized in converting light weight foldable bicycles. It has a small dropout and lightweight. 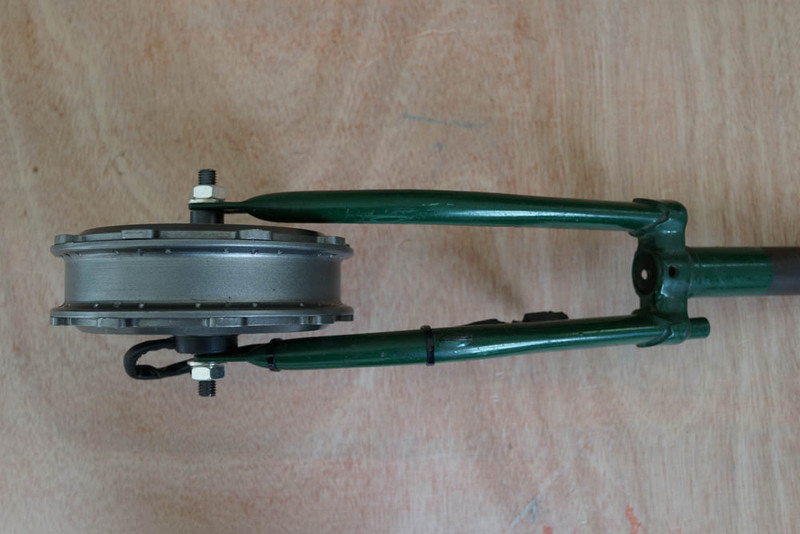 * Motor speed record base on 36V system with 16" wheel, While motor hook up with 48V, the speed increase. - Motor test base on 25A controller. 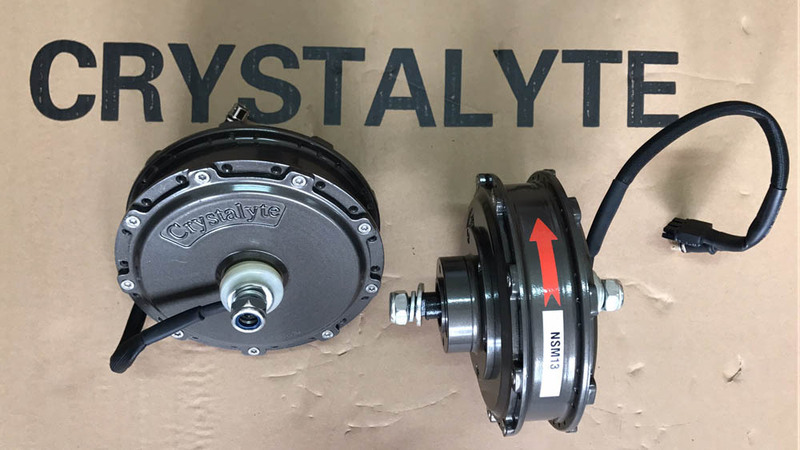 While controller's current increase the torque increase too. 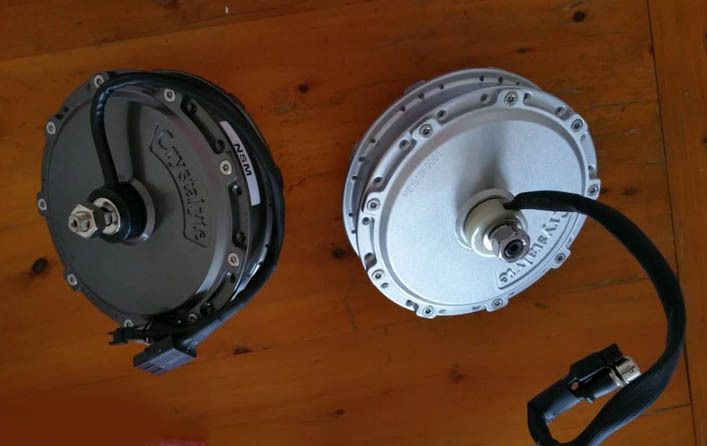 A Maximum current of 30A can hook up the NSM - series motor. 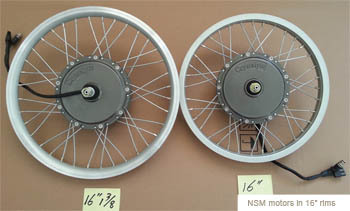 NSM Laced with 16" 1.3/8 rim ( Brompton folding bike rim ) and standard 16" rim for folding bike. 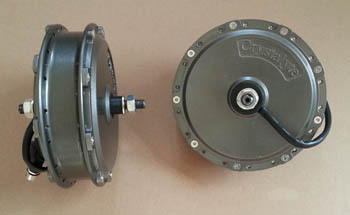 * Motor is available for custom-made. 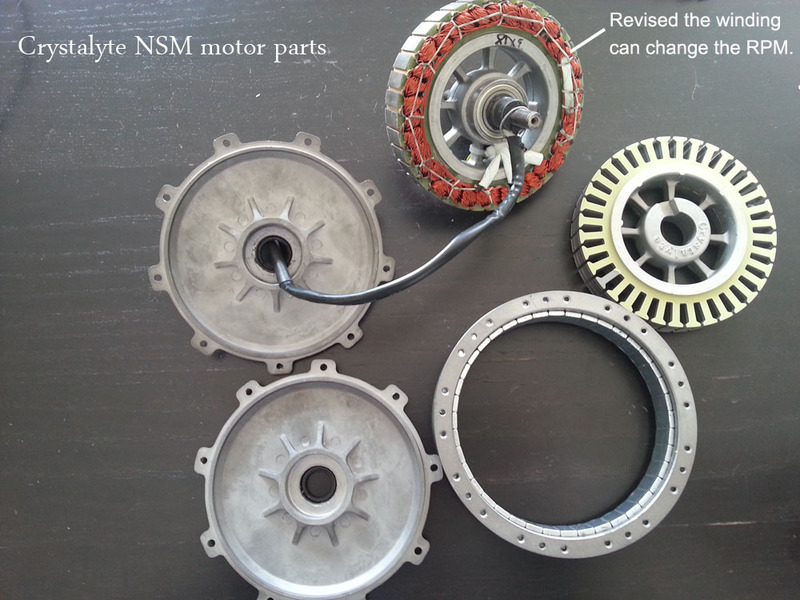 See the motor with disc brake adapter above for custom-made order.